Submitted by cosamo_prime on Friday, November 22, 2013 - 11:57. By consuming a well- balanced and varied diet that concentrates on the following 10 foods, you'll be sure to give your hair the care it needs and deserves. Eggs are a great source of protein and are loaded with four key minerals: selenium, zinc sulfur, and iron. Iron is especially important, because it helps cells carry oxygen to the hair follicles, and too little iron (anemia) can potentially cause hair loss. Woman’s Day offers an at home hair recipe (using eggs) that is safe for all hair types! Sweet potatoes are filled with beta-carotene (your body converts to vitamin A) which assists in nourishing your hair and skin. Vitamin A protects against dull hair and dry skin!! Shape.com provides a sweet potato hair mask guaranteed to hydrate your scalp for healthier looking hair. An excellent source of Vitamin E, walnuts provide a convenient way to give your hair the oils it needs to stay full of shine. Walnuts can also be used to replace expensive hair color treatments. Grind the nuts and boil in hot water, strain, cool and apply to your hair for 20 minutes. The walnut mixture will naturally keep the pigmentation in your hair, keeping those irritating grays away. Follow this link for some yummy dishes that incorporate walnuts into their recipe! Avocados are rich in vitamins A, D and E, lecithin (a natural antioxidant and moisturizer), beta-carotene (which convert to Vitamin A). They also carry more than 20% essential fatty acids. Avocado oil is derived from the pulp of fresh avocados. The oil helps by softening and conditioning the scalp to leave it dry and flake free! New Health Guide offers a variety of avocado hair recipes! Legumes are an excellent source of iron protein and are packed with beneficial nutrients (, zinc, and biotin) to nourish and prevent breakage. Lentils are high in iron that create strong, healthy hair and reduce hair loss!! Spinach is full of nutrients and antioxidants. It’s a good source of vitamins B, C, and E, potassium, calcium, iron, magnesium, and omega-3 fatty acids. TIP: Instead of using lettuce, substitute spinach in your salads or as a side dish! Blueberries carry Vitamin C which is crucial for the scalp and assist in carrying nutrients to the hair follicles. By not having enough Vitamin C in your diet it can cause brittle and dry hair resulting in hair breakage! YES TO offers a blueberry shampoo and conditioner rich in anti-oxidants! Many people are unaware that lack of iron in a diet can potentially cause loss of hair. This is why the consumption of red meat is so important for not only your body but your hair as well. By incorporating more iron into your diet it will allow for hair growth and strength. Mail Online offers an in depth article discussing the benefits of incorporating meat into your diet to benefit your hair. The things we consume on a daily basis play an important role in the way our hair looks and feels. By sticking with these delicious foods you hair is guaranteed to not only look better but feel healthier as well! Submitted by cosamo_admin on Wednesday, November 20, 2013 - 11:16. Having brassy hair is not fun, especially after you spent hundreds of dollars getting it colored. Luckily there are many ways to prevent hair from turning that orange color! But first it’s important to know why your hair turns brassy to begin with! Chemicals in hair dye open up the outer layer of each of your hair strands and then deposit color molecules inside. These molecules are a combination of yellow, red and blue. The blue ones are the smallest and fade first, leaving the yellow and red molecules behind in each strand. And too much red and yellow makes orange! The sun has a powerful affect of the color and texture of your hair if it is not properly covered. Staying out of the sun can help reduce fading and keep brassiness to a minimum. If you are someone who needs to be in the sun use UV protection (shampoo/spf) or a hat to keep your hair healthy and glowing! Schwarzkopf offers some tips to prevent UV rays from harming your gorgeous locks! The more times you shampoo the quicker your color fades! Washing your hair too much can also strip away the natural oils your hair needs to maintain hydration and color. By shampooing less it will limit the brassiness in hair color from appearing! Applying a toner several weeks after you have applied color to your hair can reduce the amount of orange in your strands. Almost all salons offer a toner and color seal that will lock your color in! It might cost a little extra, but it’s worth it if you want to maintain a beautiful color! TypeF gives more detail on how toners work! Choosing a shampoo made especially for colored hair can help reduce the amount of brassiness you see. These shampoos are gentler than regular cleansers and can help prevent quick fading. Color shampoos also tend to have greater moisture in them which locks in hydration and color. Esalon offers more insight on the advantages of using color safe products! Submitted by cosamo_admin on Wednesday, November 6, 2013 - 11:47. Before using a dye, test a small section of your hair EVEN if you have used the product before. Every time you dye your hair your scalp gets more sensitive and is more likely to burn or itch. 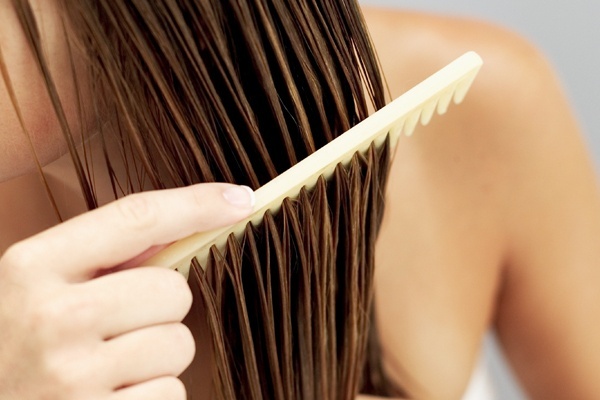 By testing a strand of hair, it will allow you to see how your scalp reacts without affecting your whole head! If you don’t feel comfortable testing a strand of hair you can also test a section of your skin. Again even if you have used the product before it is possible to develop an allergy over time, so testing the skin/scalp will catch any sensitivity before it affects your whole head. You can test dye on your skin by using a cotton swop or ball and applying a small amount of dye to a selected area (your arm is the best spot). Allow the dye to sit on the skin for about 24 hours. If you noticed any swelling, redness, itching, burning or irritations DO NOT USE THE PRODUCT. If you are extremely nervous of having an allergic reaction to hair dye your best bet is to switch over to a ppd free hair color. There are several products out on the market that offer no ammonia, peroxide, or ppd , that is much healthier for your hair and more gentle on your scalp. Taking the proper steps, such as testing and using a product with less harsh chemicals, will reduce the chances of having a reaction. Read more about Am I Allergic to Hair Dye? Submitted by cosamo_prime on Friday, August 9, 2013 - 13:45. Everyone loves luscious, beautiful curly locks, but we all know it isn’t always easy taming the mane. Are you sick of knots and frizz and uncooperative hair? We put together 7 easy tips to help you love your curls again. Don’t shampoo as frequently because this will dry out your hair. You should condition every time you wash your hair, but cut back on the shampoo. Your curly locks will thank you! You should comb the conditioner through your hair with a wide comb when you’re in the shower. Leave the conditioner in your hair for 3-5 minutes as you continue with your showering routine. Wash and lather your hair in warm water, but rinse your hair with lukewarm to cold water. The warm water eliminates grease and dirt while the cold water locks in moisture and increases shine. You don’t want to wash your hair entirely with cold water because this can flatten your curls, but you also don’t want to wash your hair entirely with warm water because it can cause your hair to become overly porous and frizzy. Do NOT towel dry your wet hair. This will cause your curls to frizz so instead, try using an old t-shirt or birdseye fabric. Invest in shampoos that were designed specifically for curly and/or frizzy hair. Do not buy shampoos that have sulfates in them because this will only cause further harm to your curls. Blow dry your hair using a diffuser after you apply your mousse or gel. When applying product to your hair, make sure to avoid your roots/scalp. Putting product directly on your scalp will cause grease and build up. Leave in deep conditioner is also an option to maintaining your curls. Replace your current pillowcase for a silk satin pillowcase. This pillowcase is a wise investment because it prevents breakage, split ends, and tangling. It also maintains the moisture in your hair and prevents frizz. Perfect for curly, frizzy prone hair. Do NOT brush your hair when it is dry because this will cause frizz. It is wise to stay away from brushes in general. Try using a hair pick or wide comb instead.